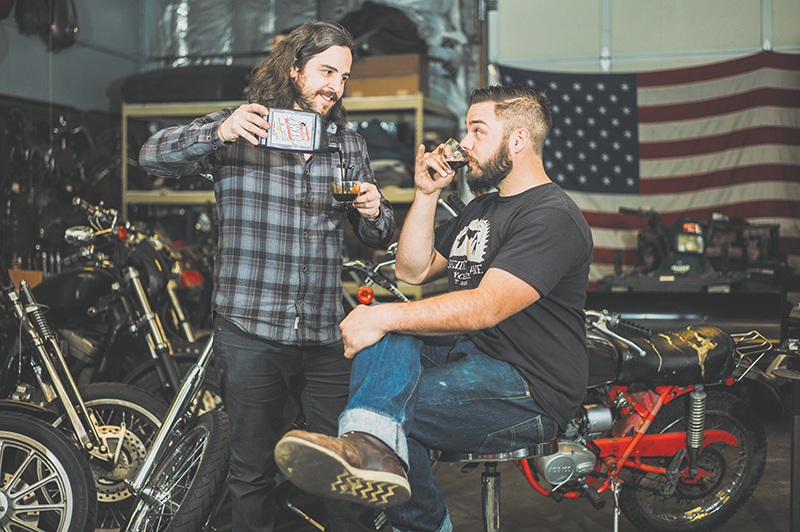 Suicide Lane Cycles: Escape from L.A. 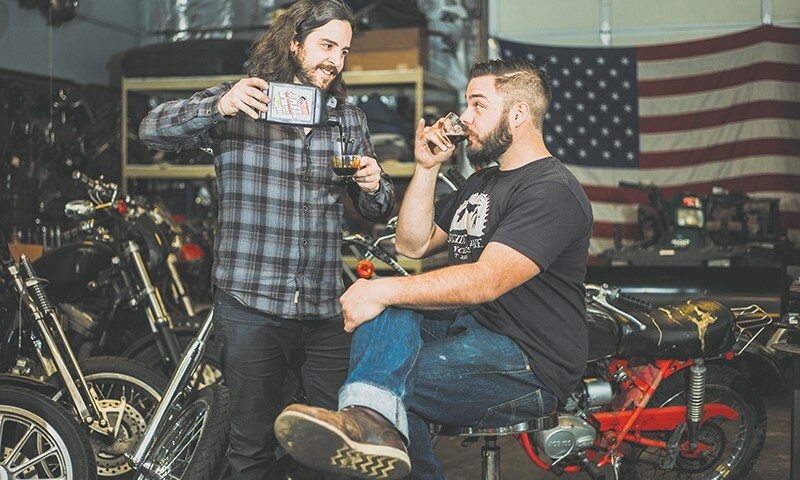 Visitors to their space will find a cleanly laid-out display of products from various motorcycle brands, much of which is arranged on custom-built mounts made of old tools and hardware found packed away in the building when they inherited it. A customized Harley-Davidson Sportster rests prominently in the front window display. Hats, patches, helmets and shop manuals are stacked in shelves on their walls along with an ancient punch clock they found—just for the hell of it. It gives one the feeling that they have been there longer than a year, though they recently celebrated their one-year anniversary at their current location, where they displayed photographs by Kristin Roper in a collection entitled Mothers Who Ride, which featured two-wheeling women along with their kin. Their shop was packed with people checking out their bikes, photos and metal mask art pieces that Bartlett made. 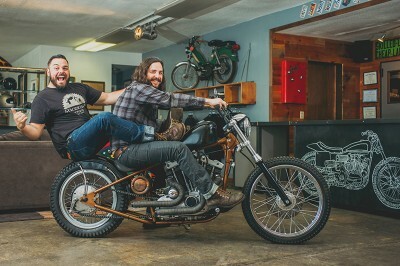 (L–R) Nik Garff and Davy Bartlett of Suicide Lane Cycles set up their custom motorcycle workshop in Salt Lake in 2014.